Growing up my mom did a great job of trying to instill healthy eating habits in my brother, sister, and I. 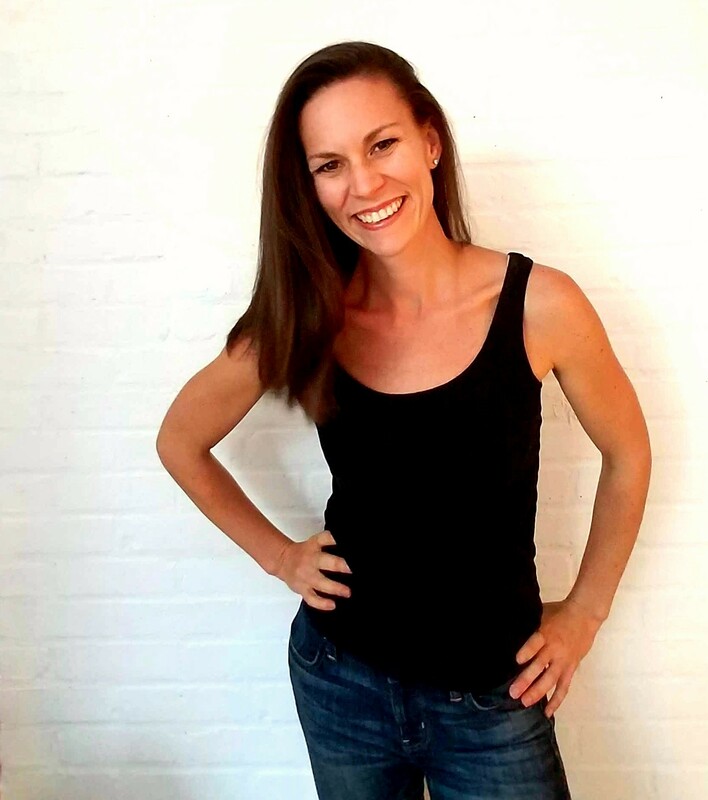 Her philosophy was all about moderation – balanced meals, and limits when it came to snacks. However, that snack cabinet was full of all kinds of not-so-good for you things: chips, cookies, those pre-packaged cakes, and always ice cream in the freezer. Now trust me, as a kid I had no complaints about these options, but as a mom my feelings on these snacks have changed a bit. We do have a pint of ice cream in our freezer, and a box of cookies in our cabinet, but we save these for those real “cheat” days and try to eat healthier snacks on the day to day. One of our favorite go-to snacks to make and keep on hand is Energy Bites. Have you tried these yet? 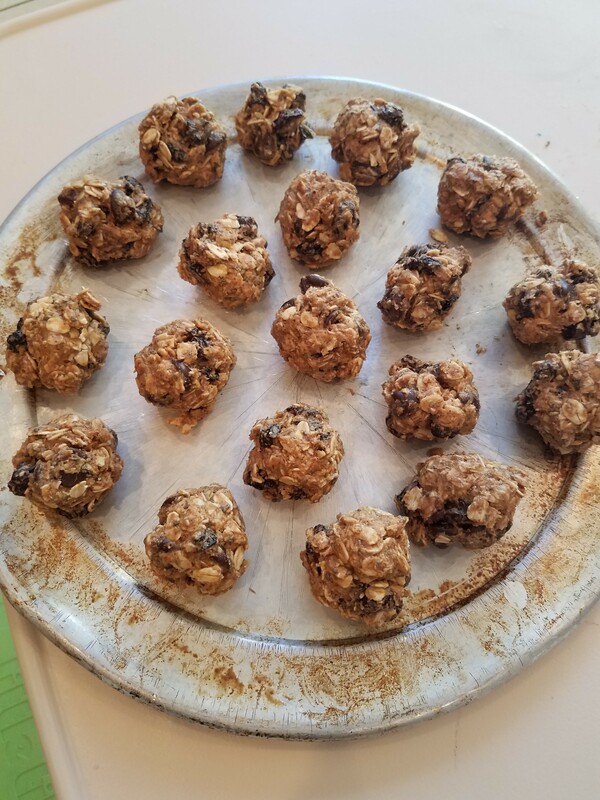 Energy Bites are no-bake little balls of deliciousness, essentially cookies. 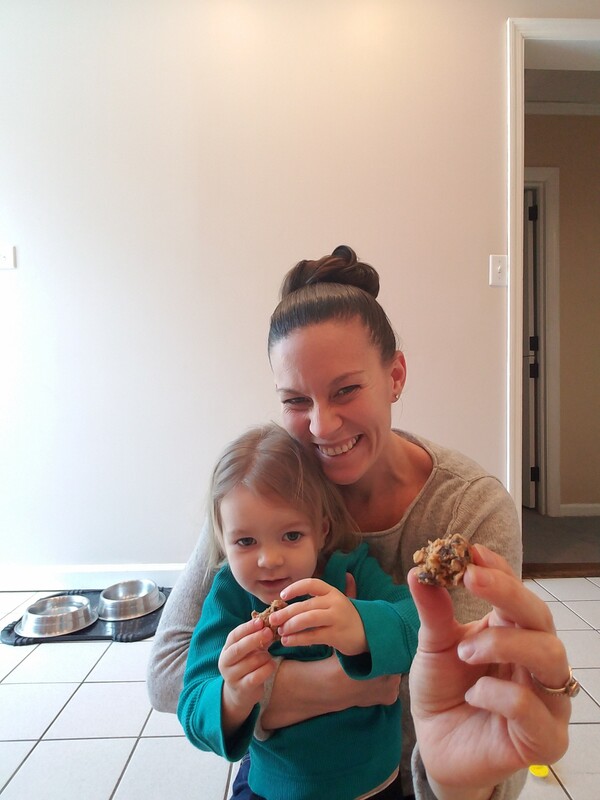 The best part – you can totally customize them to be as healthy or as snack like as you want! I always use the same base for my Energy Bites, and then depending on what we’re in the mood for I change up the add-ins. A big hit with kids and grown-ups alike are Monster Energy Bites (peanut butter, mini M&Ms, chocolate chips – what’s not to love? ), but there are endless combinations. 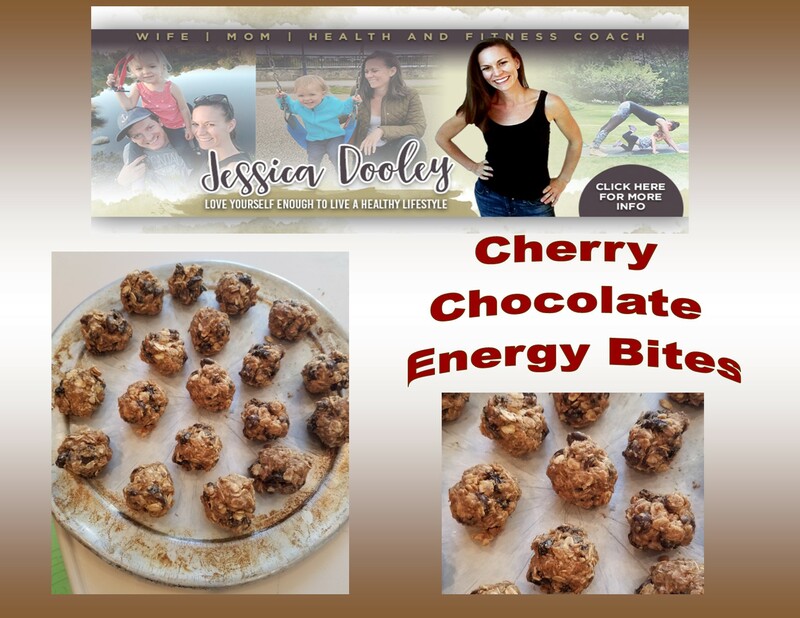 I love trail mix, that sweet and salty combo of dried fruit, nuts, with some chocolate mixed in, and that love inspired these Cherry Chocolate Energy Bites. 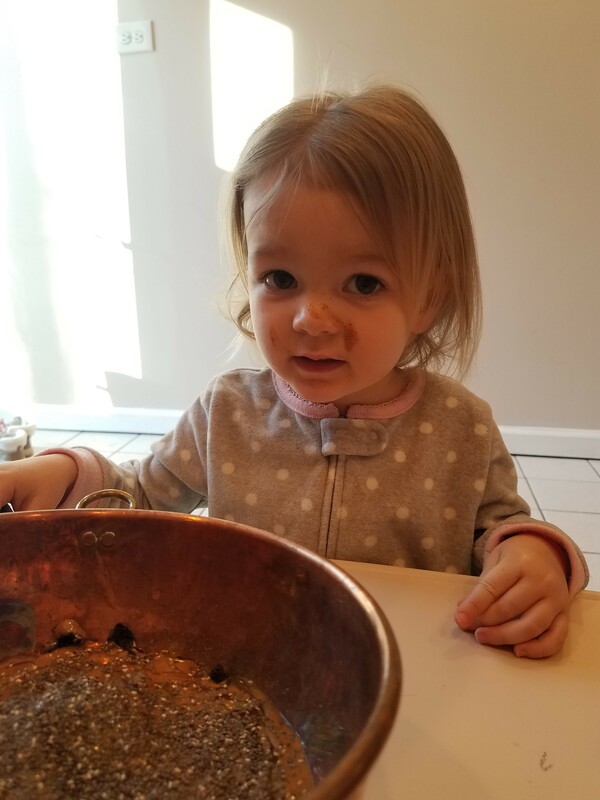 I used a spatula, but you’ll be using your hands for the next step anyway, so feel free to just dive in and mix with your hands. Once mixed, use your hands to form the batter into golf ball sized balls (I made ~20). I put mine in a single layer on a small baking sheet, but you can put these right in the container you are going to store them in. Once all the batter is shaped into balls, put them in the refrigerator for ~15 minutes to let them set. These will stay good in the refrigerator for ~1 week, although ours rarely last that long.